Optional board for the SX-AD8+ that allows a direct connection to a Mac by means of a simple RJ45 ethernet cable. 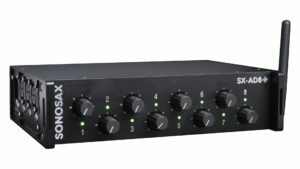 No proprietary software is required: once connected to a Mac, the SX-AD8+ is automatically added as a 8-channel audio source. 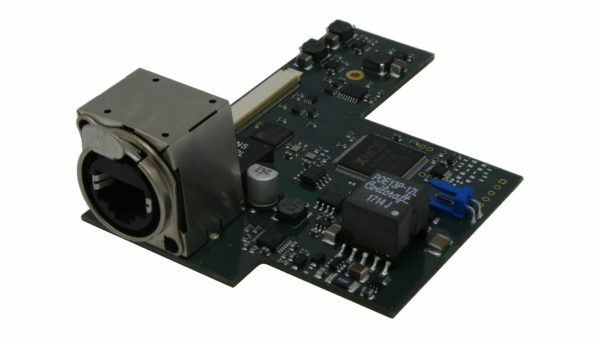 The card is Power over Ethernet (PoE) capable, meaning that a single ethernet cable is able to power the SX-AD8+ and transports all audio channels.